accommodate over 95% of installations. 5. Ultimate Flexibility: Maximum range of motion from low profile to full extension. 6. Sleek, attractive design hides all hardware. 7. 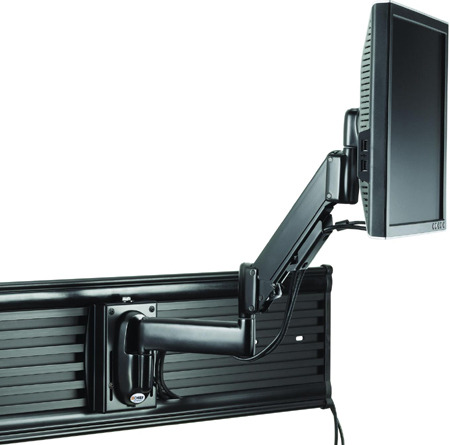 Independently adjustable tension at pivot points for customized control. 8. Tension can be optimized for touch screen use. 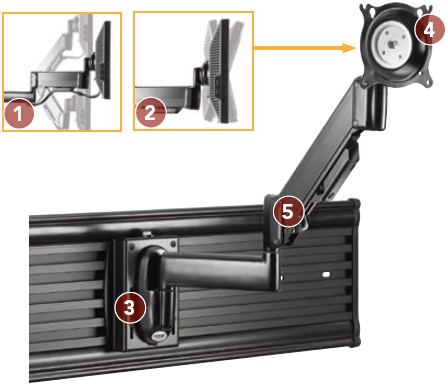 Chief’s KSG110 provides a broad range of motion for viewing small flat panel monitors and TVs that need to be installed on slat wall or tool tile.